Hello! It’s been a while, huh? Like, a month actually! So I have A LOT to share! Here we go! My TBTB Secret Santa gift from Candice of Grown-Up YA! THANK YOU! Thank you, Scholastic and Harlequin! Thank you, Bloomsbury, Macmillan, and Swoon Reads! Awesome haul! Cannot wait to hear what you think of Splintered! I spy A court of thorns and roses there, IT IS SO SO GOOD. Happy reading :D! You got Holding Strong! I have this from Netgalley (and Edelweiss actually because I forgot I requested it from NG). I love Lori Foster. I’m thinking I should try Julia London sometime. I’m looking for some new HR romances. WHOA!!! Load of books there! I LOVED Salt & Stone! Envious of A Court of Thorns and Roses! And very intrigued by The Cage! Hope you enjoy all those awesome reads! My goodness Jess, someone really loves you! :) I especially love the bookish gift you got from your Secret Santa! I really enjoyed Make it Count, I’ll probably start Make it Right soon. Damn, girl. ALL THESE BOOKS. Where do I start?! Well, thank you again for letting me borrow Salt & Stone! <3 It's a fun series, though I liked book 1 better. 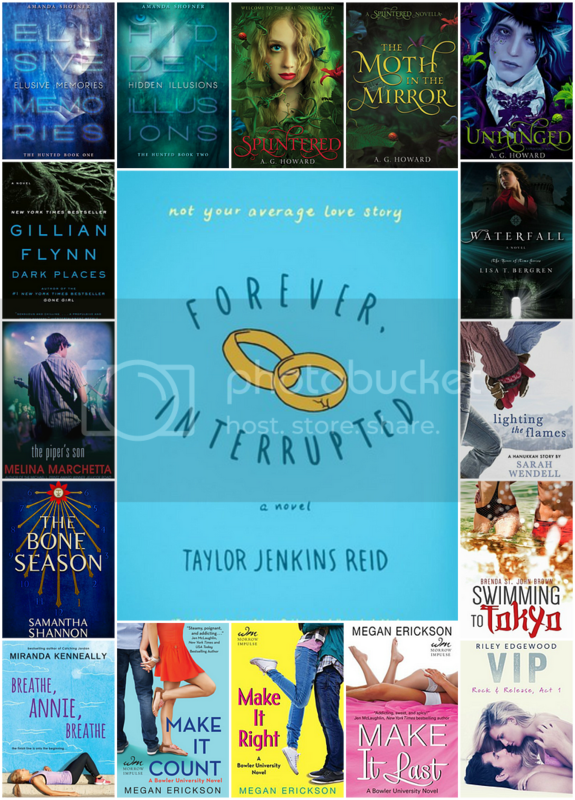 All these romances! I didn't realize Return To Me was on NG – I may have to request that! Emmy & Oliver! Can't wait for that one. The Piper's Son is AMAZING. <3 Melina Marchetta always is.